NEW LONDON, Conn. – Cartoons have a unique power to connect. Caricature drawings can make us laugh about and connect with our inner selves; animated films help us connect with family, and political cartoons can make us think about our world from a different perspective—connecting us to the rest of society. 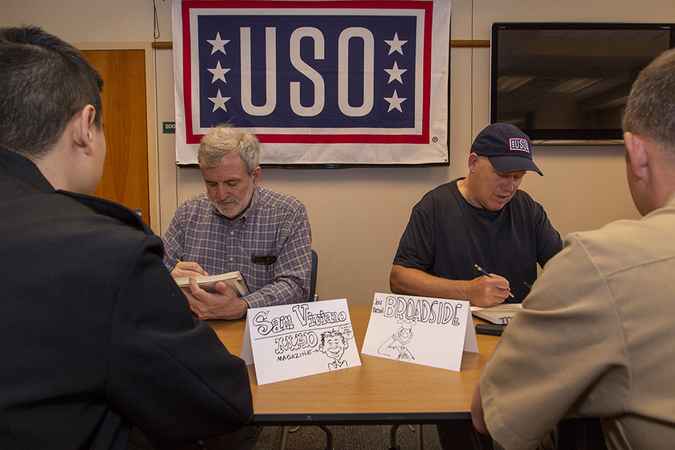 With this potential for connection in mind, four cartoonists from the National Cartoonists Society joined with the USO and traveled to Rhode Island and Connecticut in an effort to draw a connection with members of America’s Navy and Coast Guard. Two-time Pulitzer Prize-winning political cartoonist Michael Ramirez was joined by Mad Magazine caricature artist Sam Viviano, Sony Pictures Animation story artist Kasey Fagerquist and “The Broadside” cartoon creator Jeff Bacon. 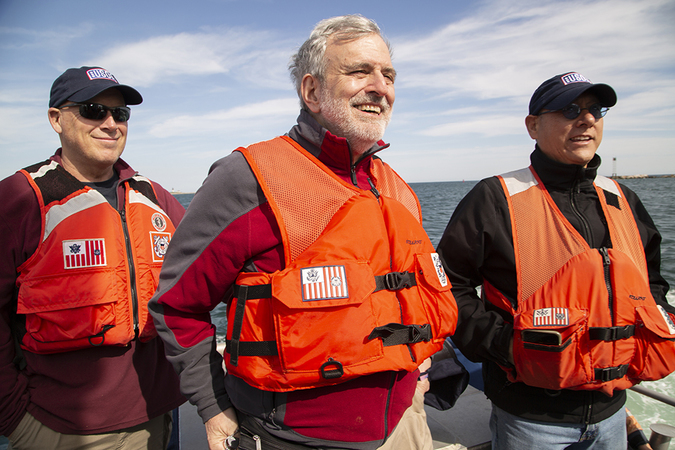 Together, they represent a broad stroke of American cartoonists armed with pads, pencils and loaded with smiles, seeking to bring joy to our men and women in uniform. 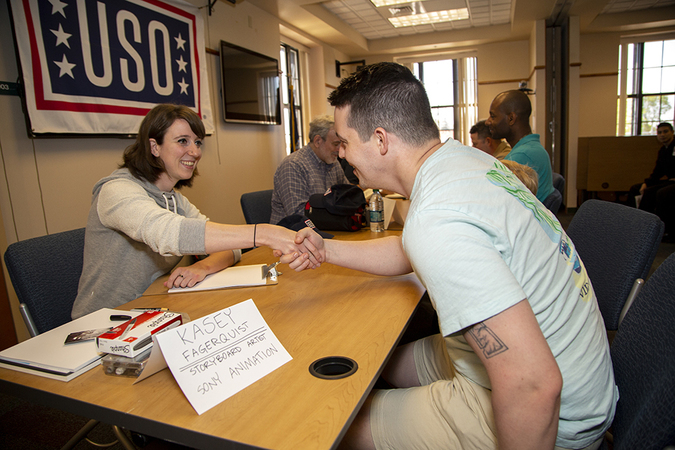 Unlike typical USO handshake tours where celebrity entertainers may get to spend a few fleeting moments with an individual service member—perhaps shaking a hand, taking a selfie or signing an autograph—the cartoonists have a captive audience. 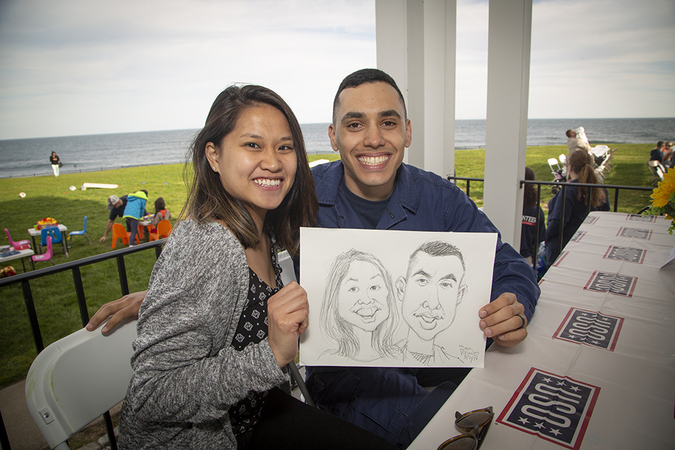 Their sketch subjects have to pose for the drawing, so cartoonists and service members have time to get to know each other and the subjects often talk about their personal lives, career aspirations and educational goals. 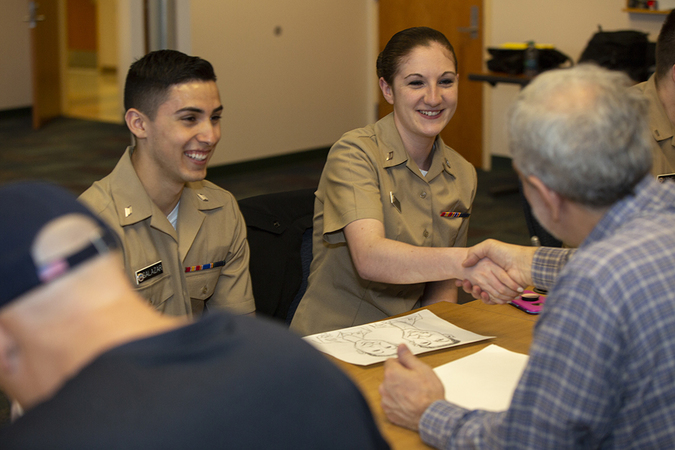 The first stop for the four cartoonists was the Naval Health Clinic New England (NHCNE) in Newport, Rhode Island, where the cartoonists drew dozens of caricatures and original art for nurses and corpsmen stationed there. 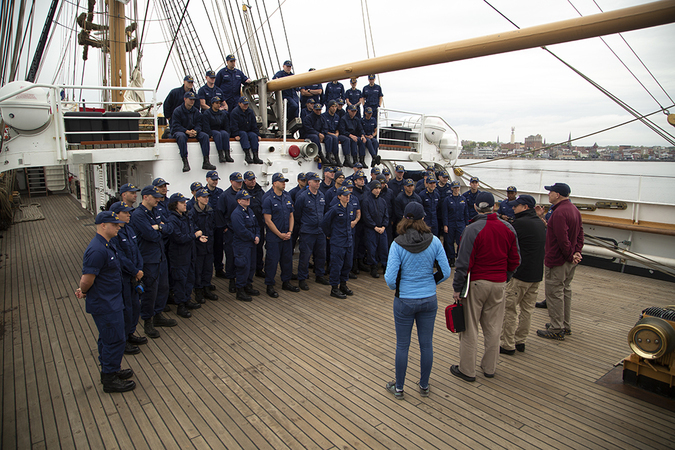 Day one concluded with a barbecue at U.S. Coast Guard Station Point Judith in Narragansett, Rhode Island. 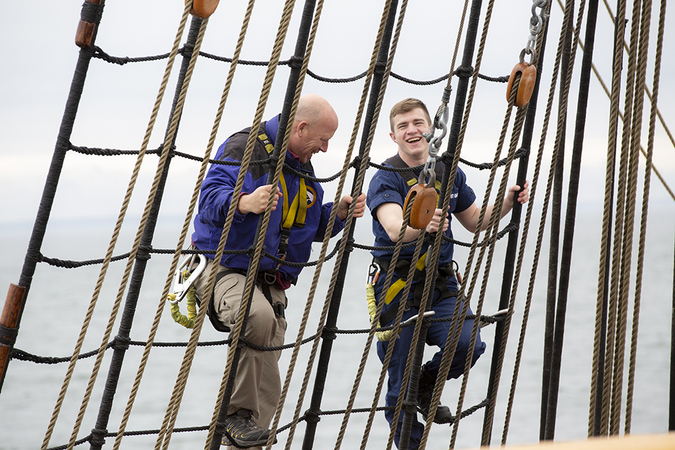 The following day, the Coast Guard invited the cartoonists aboard America’s Tall Ship, the U.S. Coast Guard Cutter Eagle, to spend time drawing cartoons for the Eagle crew, as well as cadets from the Coast Guard Academy training on board.